To thank all my Paper Pumpkin Subscribers, I’m having a Paper Pumpkin Party! Free! That’s right, free to all who subscribe to PP (with me as your demonstrator)! What: Snacks, crafting, card making, I will have a thank you gift for all of you. When: Thursday April 17th from 6:30-9:30 pm. Why: because I set a goal to find two new subscribers by the end of the month (I’m trying to earn a free stamp set). Want to come? It’s not too late to get in on the fun! 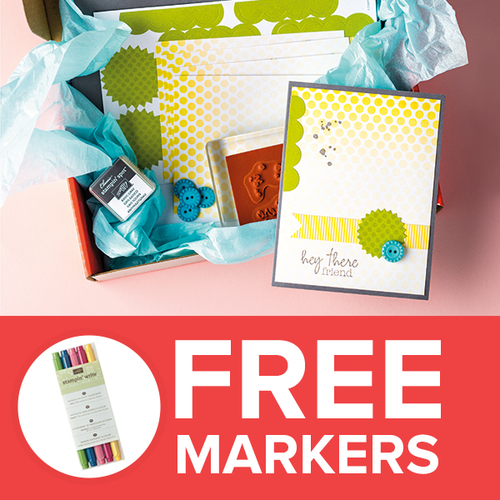 Subscribe by midnight March 31st, while Stampin’ Up is running the current promotion and new Paper Pumpkin subscribers will also receive 5 Stampin’ Write Markers (a $14.95 value) absolutely free if you subscribe by March 31, 2014. The colors included in this set of markers are Raspberry Ripple, Midnight Muse, Gumball Green, Summer Starfruit, and Primrose Petals. Paper Pumpkin is affordable. Each monthly kit is just $19.95, and the price includes shipping. I have seen monthly craft kits run $30-$40 plus shipping. Paper Pumpkin includes exclusive Stampin’ Up stamps that can’t be purchased anywhere else. Stampin’ Up! Paper Pumpkin kits include easy to follow step by step instructions. If you aren’t feeling very creative, you can make the projects as shown. The kits are versatile. If you are more creative, it is so easy to use the fun supplies to make other projects. You can skip a month if you need to. There aren’t many monthly subscription boxes out there that let you opt out of a month. Cancel at any time – without any hassle or having to jump through hoops. Unlike other monthly craft boxes that lock you into a 3 or 6 month agreement, with Paper Pumpkin there is no risk. You can stop your subscription at any time if you decide it’s not for you. Only Paper Pumpkin subscribers can purchase past kits and refill kits. Stampin’ Up! made the decision to only offer these to PP subscribers. I’m so thrilled about that! You will receive additional ideas, inspiration and bi-monthly get togethers for as long as you remain a subscriber. Just a way I want to say thanks to all who give it a try! Ready to come play in my craft room? 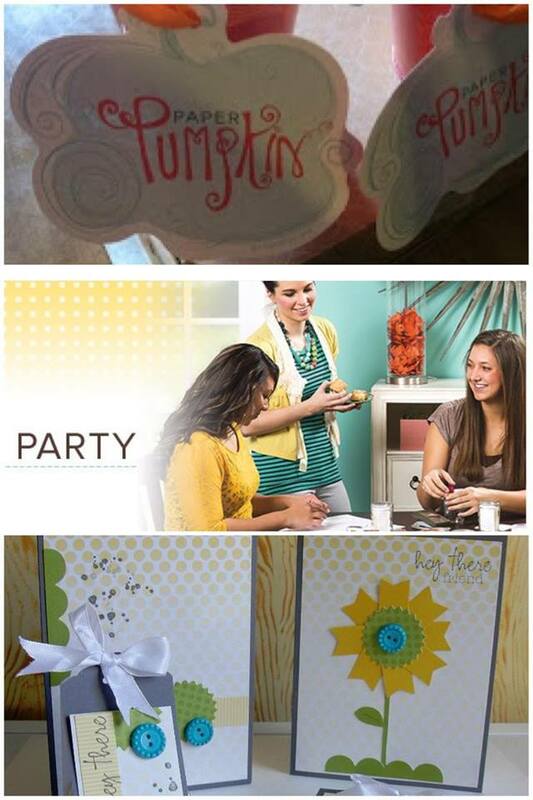 This April 17th Paper Pumpkin Party is a $25 class value that you earn for free! Can’t make it? If you are one of my PP subscribers, I will get the party supplies to you by the end of April. if you’re ready to sign up, just head over to http://www.mypaperpumpkin.com (I will receive an email when you sign up). Thanks! I hope you all have a wonderful day!